Don’t be afraid to show off your retro chic side! 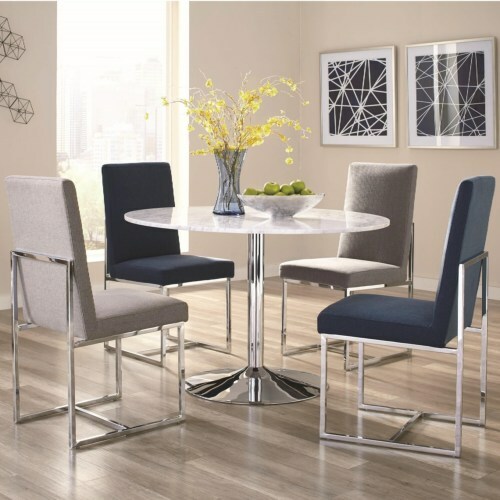 Make a modern design statement with the this dining room table. 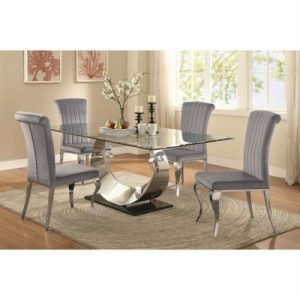 This stylish dining table is perfect for smaller spaces. 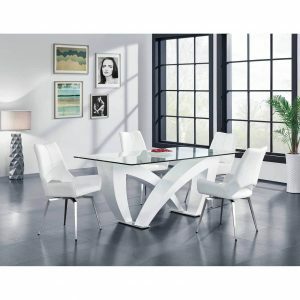 The table has a retro feel with classic Italian solid white Carrara marble top accented by a chrome finished metal base. 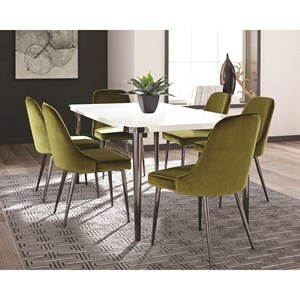 The upholstered seating “floats” on metal frame with polished chrome finish. 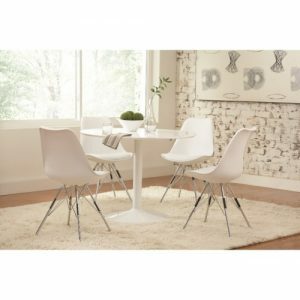 Fabric cover has a soft to the touch feel and offered in medium grey and a neutral blue.